The event centred on disruptive technologies and how it will impact workforces in all sectors, the global economy, as well as our nation as a whole. Held for a week, the UOW Technopreneur Week reached out to multidisciplinary students from different levels, mostly majoring in IT, Computer Science, Business, Marketing, Finance, Communications, and Engineering. Echoing the notion was Mr. Leroy Pinto, Google Head of Data Platforms, South East Asia/India who discussed the topic of disruptive technology. This was followed by talks on innovative big data analytics platforms by Mr. Thillai Raj, Chief Technology Officer of MIMOS Berhad.? 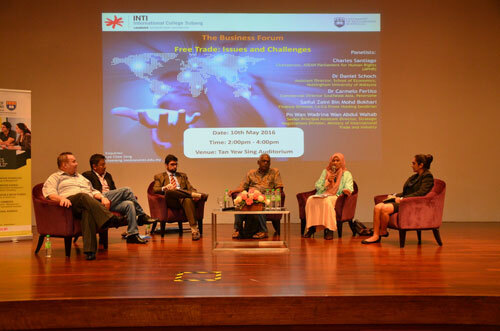 The event also organized IT and Business forums on emerging trends in analytics as well as issues and challenges of free trade by industry leaders from IBM GDC Malaysia, MIMOS Berhad, Kasatria Technologies, Monitoring Sustainability of Globalization (MSN) Malaysia, and La Ca Prime Holding Sendirian. “The annual UOW Technopreneur Week is one of INTI’s real industry projects. We work with our close industry ties to offer our students with the opportunity and responsibility to work on projects that may have actual and immediate effects in enabling them to develop employability and competency skills – whether that is problem solving, communication, teamwork, or leadership. Working in partnership with UOW has allowed our students a learning experience that will prepare them for a successful career in any field that they may embark on,” said Dr. Jane Lim, Deputy Chief Executive and Dean of UOW. The UOW Technopreneur Week concluded with the third CodeFest, wherein 150 students compete against each other in a 24 hours hackathon to develop a mobile application. The theme for CodeFest 3.0 this year was Community Care with an objective to create an application which will benefit the society and care for their well-being. This was executed in the first category, Mobile Apps Development. A new addition to CodeFest 3.0 this year was a second category where students were required to build not just a prototype of the mobile application, but a business plan too which was pitched to the panel of judges. 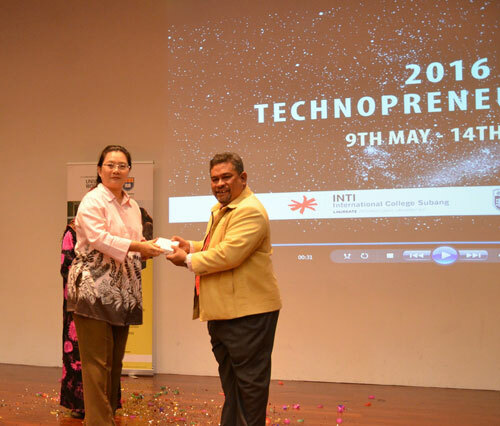 This included industry experts from Fusionex and Stampede Solutions, who both sponsored RM 3,000 each and sent their senior software engineers to mentor the students. The panel of judges also included representatives from Cubinet, ACTIV Consulting and VHR. In the category of Business Pitching, ‘Baby Breath’, a mobile app that links confinement nannies to young mothers, emerged ahead of many other innovative developments to take home the title of the Grand Prize winner. As for the mobile application prototype category, BeFIT, an application that allows its users to find nearby sports venues and to book its courts impressed the judges. When asked on the next steps after winning CodeFest 3.0, Jason explained that the team is planning to add the finishing touches to the application with the RM 3,000 prize money and hopes to realise the application for users in the next 6 months. As for BeFIT, Wong Wei Shiang, a final year Information Technology (IT) student at University of Wollongong and the co-founder of the application said that their application is already attracting investors and will be officially launched next month.